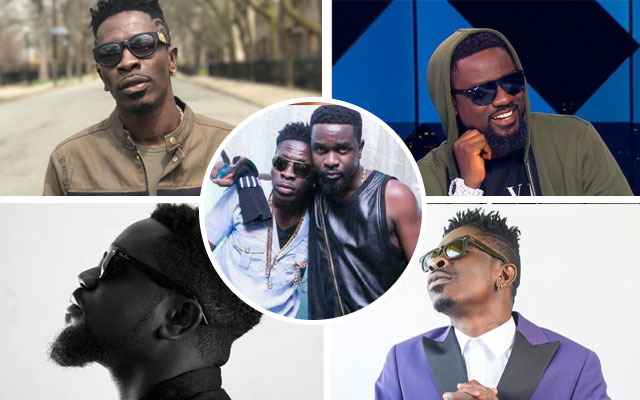 Top Ghanaian rapper, Sarkodie has reprimanded his colleague musician, Shatta Wale and cautioned him to stop talking to much. Sarkodie, who is not happy with Shatta Wale’s recent comment about his brand, took on to micro-blogging platform Twitter to tweet his message. It was reported that, Sarkodie pulled out of a show he was billed for because some other Nigerian artistes on the same show disrespected him. Owing some explanations to his fans for disappointing them, Sarkodie went on Twitter and explained why he had to pull out of the show. His Tweet attracted a quick but subtle reply from Shatta Wale who said Sarkodie does not listen to advice. Unhappy Sarkodie then replied Sarkodie that he talks too much. It was just an interesting exchange.